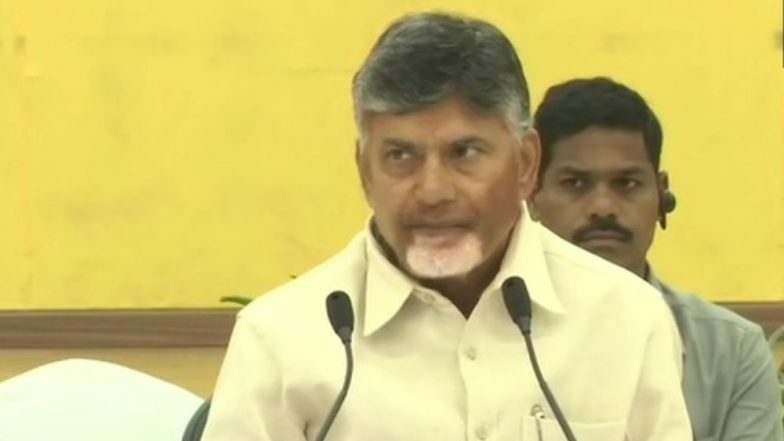 Hyderabad, March 19: The Telugu Desam Party (TDP) on Monday released the list of 25 candidates for the 2019 Lok Sabha Elections. Former union minister Gajapati Raju will contest from Vizianagaram, while, Kesineni Srinivas to fight the parliamentary polls from Vijayawada. Galla Jayadev got the ticket from Gutur and N Sivaprasad from Chittoor. The Lok Sabha elections in the state will take place in a single phase on April 11. Andhra Pradesh Assembly Elections 2019 Schedule: Voting on April 11, Result On May 23. The party also announced the list of 36 candidates for the upcoming assembly elections. Amongst the notable leaders, Bandaru Sravani got the ticket from Singanamala, while JD Rajashekhar to contest from Satyavedu. Other prominent leaders who got the ticket for the assembly elections are – Shankar Yadav from Thamballapalle, Harikrishna from Gangadhara Nellore, Therlam Poornam from Puthalapattu, TG Bharath from Kurnool and Abdul Azeez from Nellore Rural. Andhra Pradesh Lok Sabha Elections 2019 Dates: Constituency Wise Dates Of Voting And Results For General Elections. The state is going for polls in 25 Lok Sabha seats and 175 assembly seats simultaneously on April 11. In the state, the TDP is contesting these elections alone. The main contest will be between the Chandrababu Naidu led TDP and Jagan Mohan Reddy-led YSR Congress. Lok Sabha Elections 2019 Schedule: Voting In 7 Phases From April 11 to May 19, Counting And Results On May 23; Check All Dates For General Elections. The Election Commission of India on March 10 announced the dates for the general elections 2019. The polling will take place in seven phases from April 11 to May 19, and the results will be declared on May 23. Meanwhile, assembly elections also going to take place in four states- Andhra Pradesh, Odisha, Arunachal Pradesh and Sikkim.